White spots on teeth can be a major issue, especially if they are in an esthetic area. 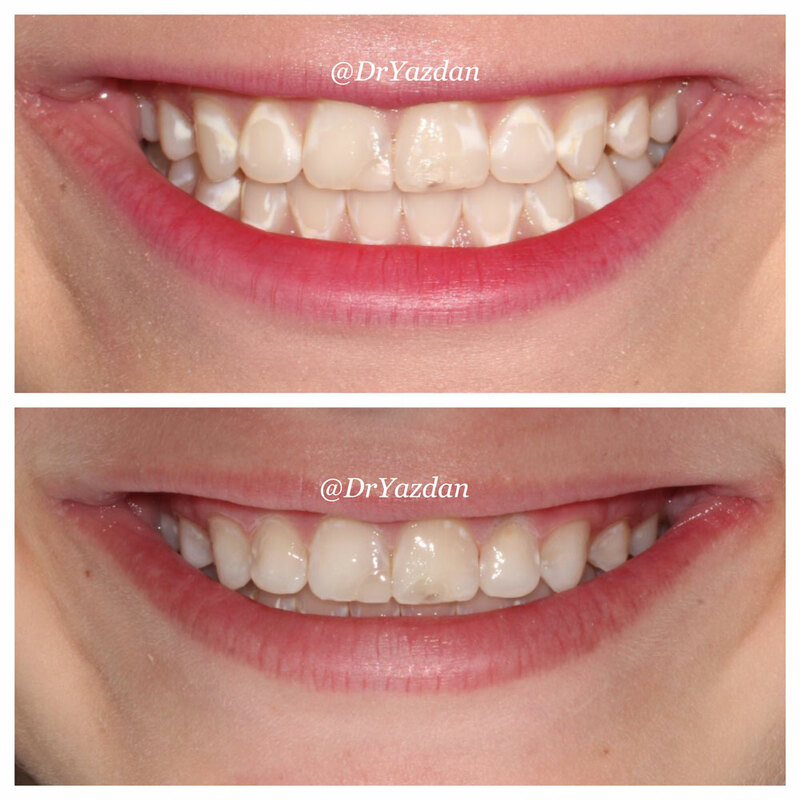 These white spots can be developmental, they can occur after orthodontic treatment, from decay, or as a result of teeth affected by fluorosis. 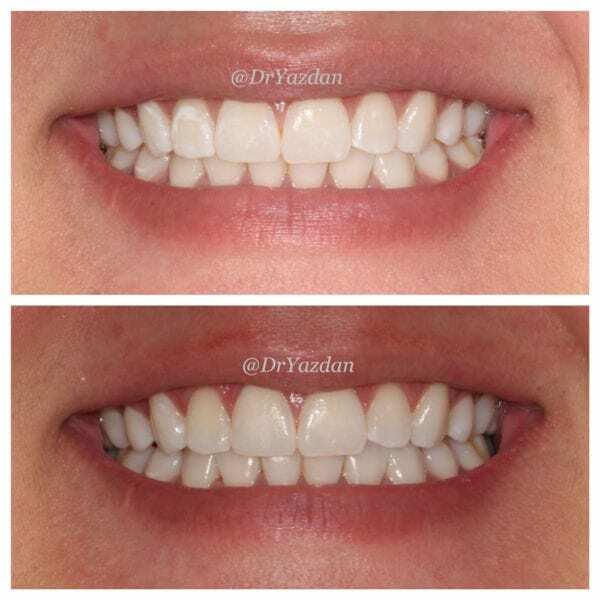 In the past the only way to treat them was by drilling them out, and filling them with a composite material, or masking them with a porcelain crown or porcelain veneer. Now, with the new resin infiltration system, we are able to remove these white spot lesions in one simple, painless treatment that doesn’t require and drilling! This treatment even works for patients with fluorosis! The system we use for this in our Newport Beach location is called ICON. Icon offers a revolutionary approach to the cosmetic treatment of carious white spot lesions. Lesions infiltrated by Icon take on the appearance of the surrounding healthy enamel. This provides a highly esthetic alternative to micro-abrasion and restorative treatments of cariogenic white spots all in one simple treatment, with no drilling! 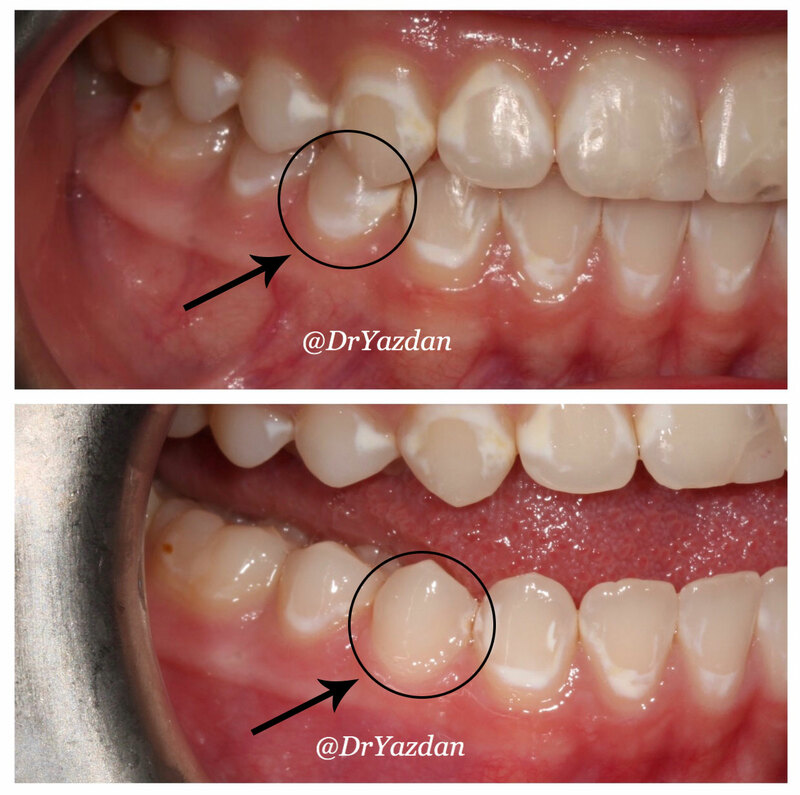 Resin infiltration is a minimally invasive restorative treatment for post-ortho white-spot lesions (WSLs) and certain congenital hypocalcified enamel lesions (hypo spots). 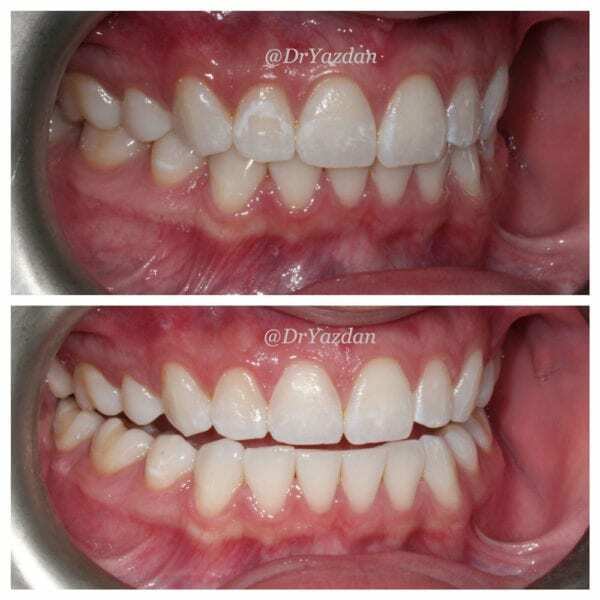 This treatment also works for those who have fluorosis. WSLs are associated with subsurface enamel porosities caused by a cyclical imbalance between demineralization and remineralization of the enamel, resulting from poor hygiene and associated plaque, bacteria and acids. With time, remineralization at the outer surface of the tooth decreases the access of calcium and other ions to deeper portions of the enamel, eventually arresting the lesion. The lesions look white because there is a scattering of light at the subsurface of the demineralized enamel. Hypo spots, or enamel bruising, are congenital enamel defects often caused by trauma or infection involving the primary teeth. Enables immediate treatment of white spot lesions too advanced for fluoride therapy and not yet advanced enough for restoration (filling, etc). Not just minimally invasive dentistry. . . micro-invasive! Fast, simple treatment in one visit . . . with no drilling! The first treatment to bridge the gap between prevention and restoration. . .
Resin infiltration icon system is? placed onto teeth and allowed some time to infiltrate.